← Staffordshire Hoard public meeting tonight! 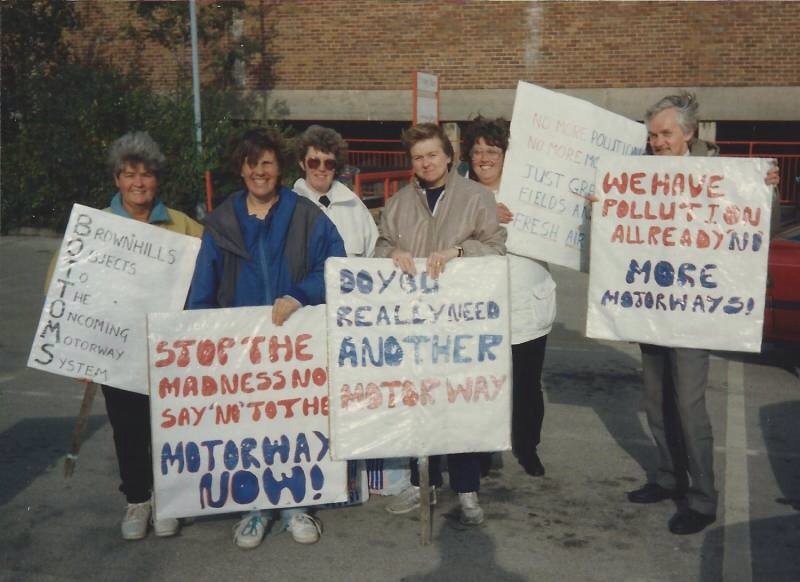 David Hodgkinson has been in touch regarding my appeal for information regarding the protests and planning process regarding the M6 Toll, which was known back then as the BNRR – Birmingham Northern Relief Road. David says he's loads of clippings and material from that time – which I'd love to take up his generous offer of sending me. He does note, however, that he has none of the planning literature. I'm after a copy of the alternate route proposal maps, please, if anyone has them. These would be the coloured route options – red route, blue route, black route etc. These re particularly interesting as the infamous orange route – never, ever likely or even feasible, as it cut through Aldridge and open quarries – was used to cleverly divide the Lichfield and Aldridge opposition camps. I thank David for his generous contribution, and please, if you have anything, BrownhillsBob at Googlemail dot com. Cheers! 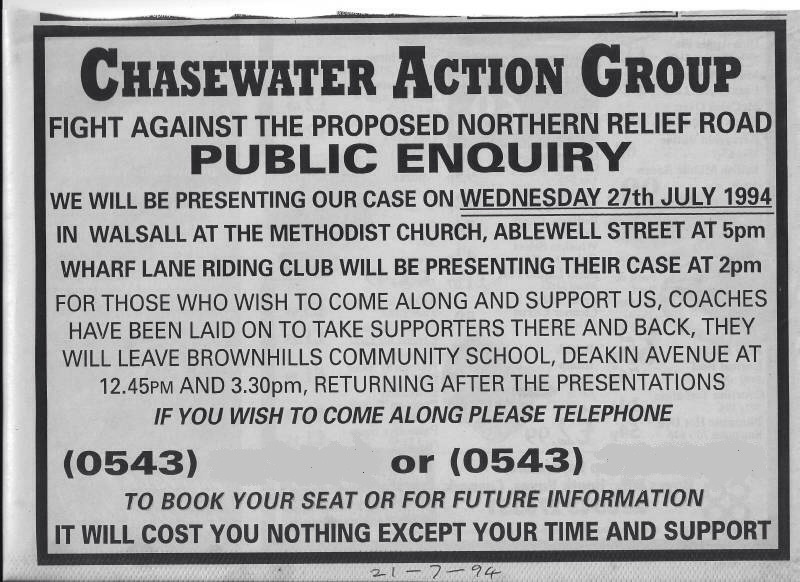 This entry was posted in Brownhills stuff, Chasewater, Environment, Events, Followups, Interesting photos, It makes me mad!, Just plain daft, Local Blogs, Local History, Local media, Local politics, News, planning, Reader enquiries, Shared media, Shared memories, Walsall community, Walsall Council and tagged BNRR, Chasewater, Chasewater history, Chasewater Stadium, David Hodgkinson, M6 Toll, protest, toll. Bookmark the permalink. 3 Responses to Toll grate? You might recall I offered you a copy of the planning map I acquired whilst doing a project on the impact of this & the Metro when I worked for C&A in the late 80’s. I will try & scan it, but it is a huge poster style document. The biggest observation for me is living on the new Swingbridge side of Clayhanger, the one route surely obliterates most of the new building.